Happy New Year! It's time for a new beginning and another year! 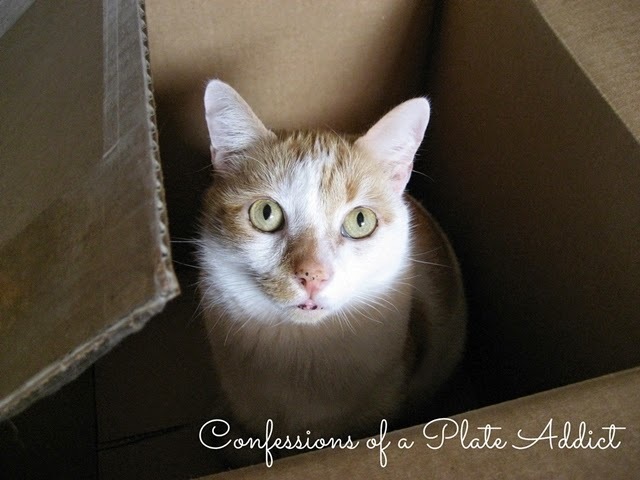 However, I always like to take a look back over the previous year to see which posts were the most popular...just to give me an idea of what you, my readers, like to see here at Confessions of a Plate Addict! 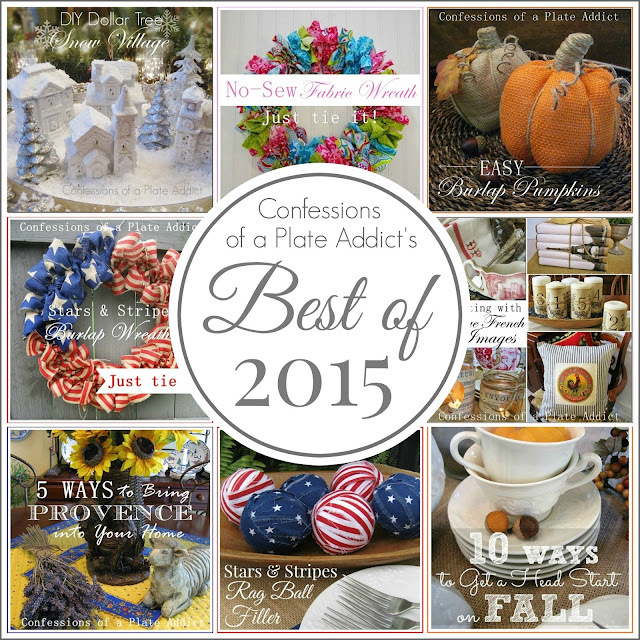 Sooo...here are my top ten posts...the best of 2015! 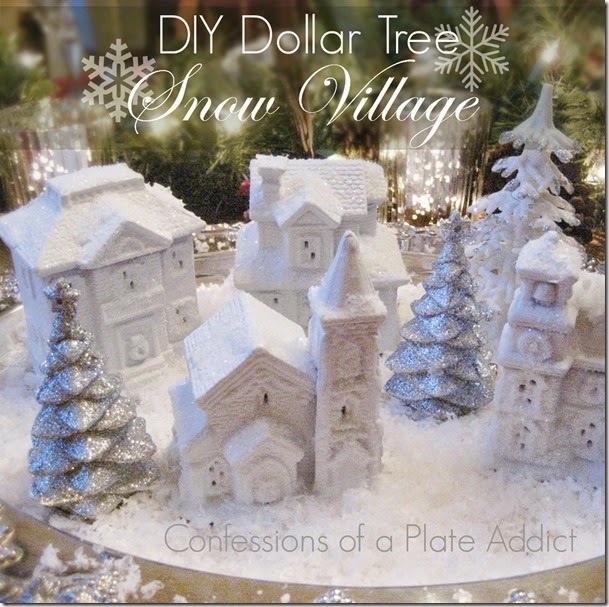 Although this one was actually published at the end of 2014, this project got more views than any other in 2015...my DIY DOLLAR TREE SNOW VILLAGE! 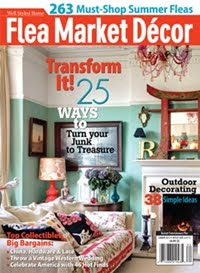 It definitely heads the list of easy and inexpensive projects, too! 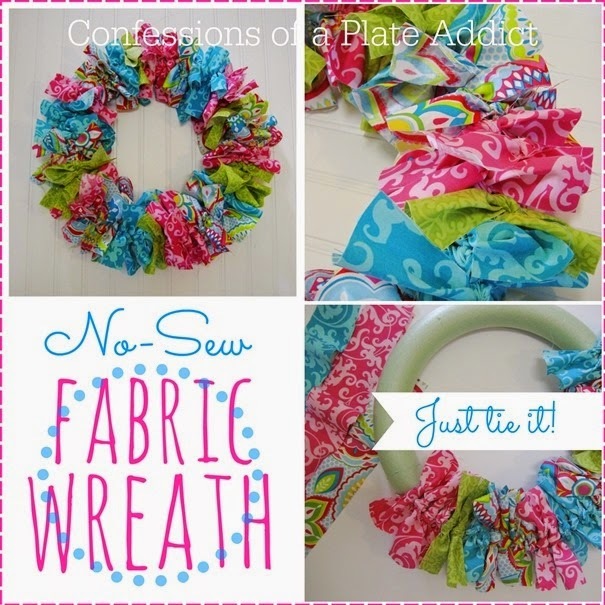 Coming in at number two was another super easy and inexpensive project...my NO-SEW FABRIC WREATH! All you have to do is tie it! 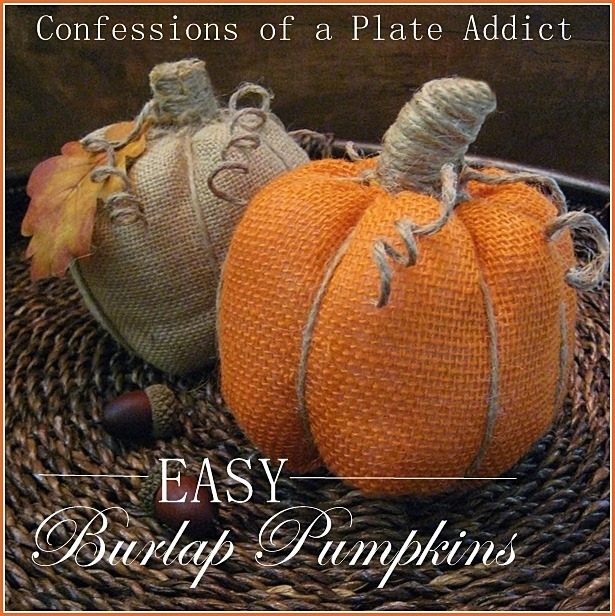 Another no-sew project was my BURLAP PUMPKINS...an easy little addition to your fall décor! 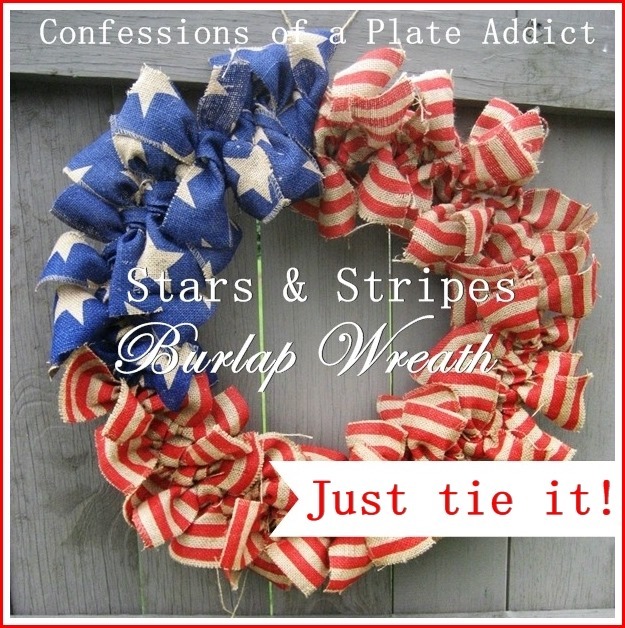 Coming in at number four...another version of my "just tie it" fabric wreath...my STARS AND STRIPES BURLAP WREATH...perfect for those patriotic holidays! Number five was done in cooperation with Hometalk...with over 20 RESTORATION HARDWARE INSPIRED PROJECTS all in one place, including a few of my own! I teamed up with a group of my fellow francophiles for our Country French Design series. 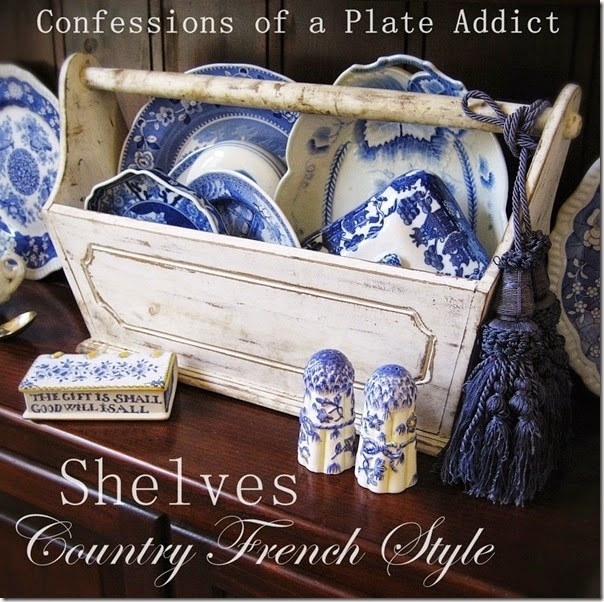 My tips for styling SHELVES...COUNTRY FRENCH STYLE came in at number six! 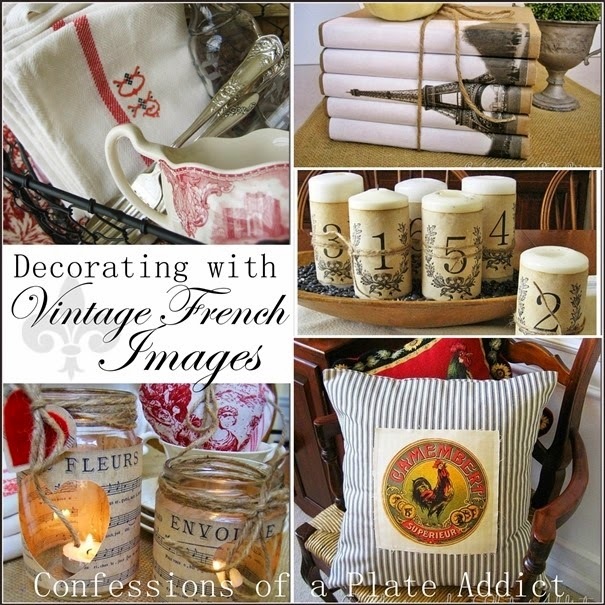 Another post from the same series came in at number seven...my best tips for DECORATING WITH VINTAGE FRENCH IMAGES! 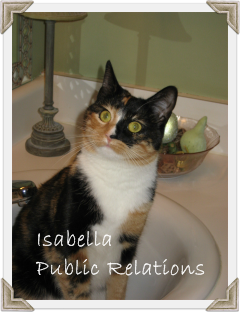 And, as always, the free graphics are included with each of the projects! 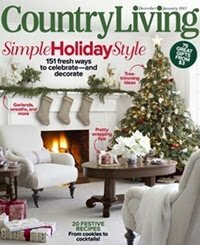 And it came as no surprise that yet another post from our Country French Design series ranked number eight...FIVE WAYS TO BRING PROVENCE INTO YOUR HOME...a how-to guide for adding the warm, sunny look of Provence to your décor! 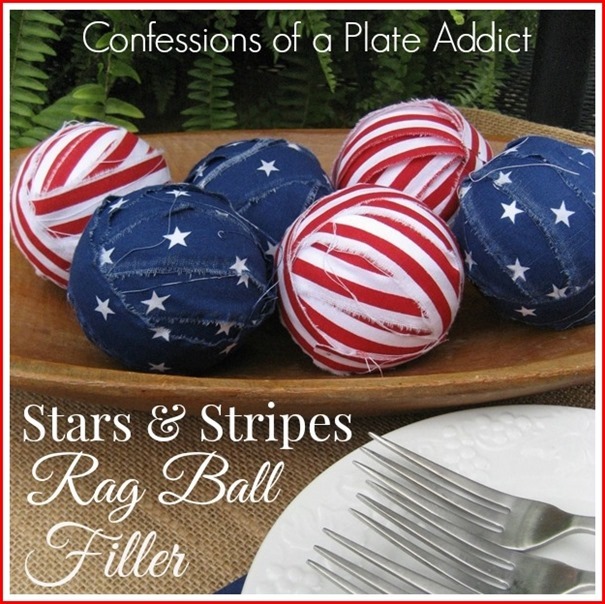 Number nine was another project with a patriotic theme...my STARS & STRIPES RAG BALL FILLER! 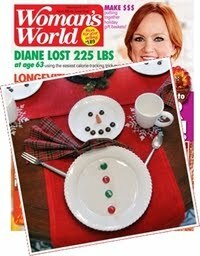 It's another hit that is easy and inexpensive! 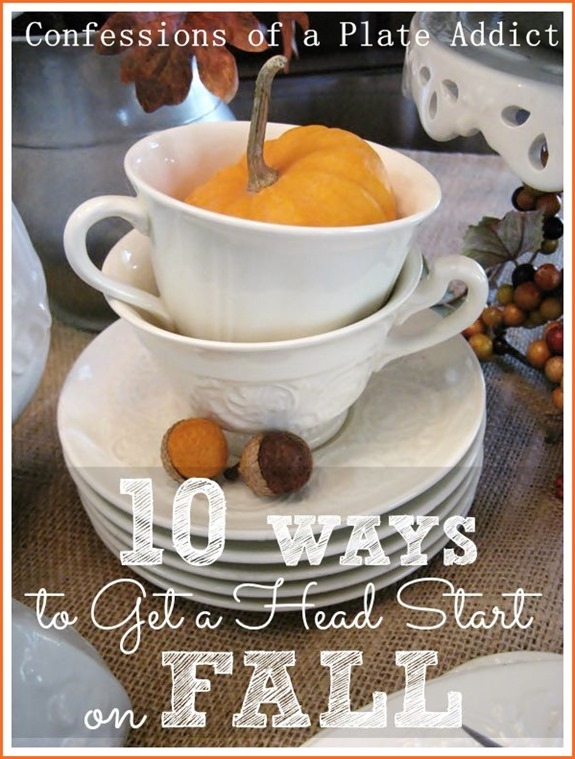 And finally, coming in at number ten, TEN WAYS TO GET A HEAD START ON FALL, my favorite season! 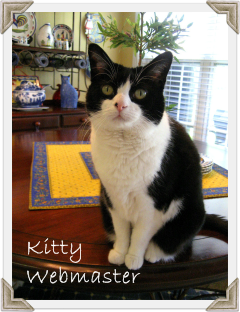 And Baby Kitty says to stay tuned because we have lots of easy and inexpensive projects planned for 2016 as well plus more ideas for adding that Country French look on a budget! I would like to also take this opportunity to thank each of you, my readers, for the love and support that you bring to my blog each day! Without you, none of this would be possible! So I am wishing a happy and healthy New Year to each one of you and looking forward to spending more time with you in 2016! Each one is unique and beautiful. 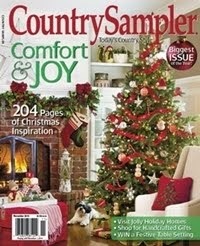 Am looking forward to all of your new projects in the new year. 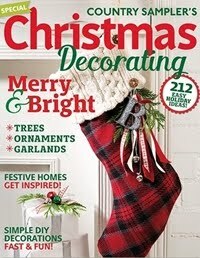 Your blog continues to inspire me each year! Happy New Year my friend. Debbie, these are all amazing projects. I've pinned this for future reference - thank you, and Happy New Year. I love these year in review posts. It amazes me all the great ideas which are shared. 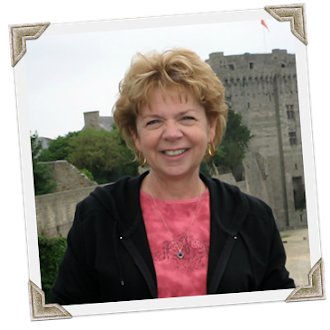 Tumbleweed Contessa is hosting a Best of 2015 round up party. I’d love for you to share this. I absolutely love your projects! Happy New Year! 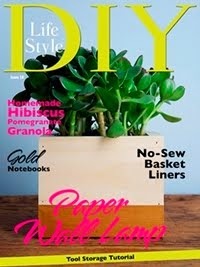 Your DIY projects are the Best of the Best, dear friend!!! I am grateful for your easy to follow instructions!!! 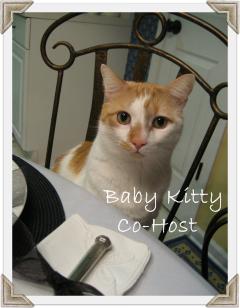 Tell handsome Baby Kitty, I'll be watching for some amazing DIY's in 2016!!! Give my best to all your Staff!!! Loved looking back at all of your great projects! 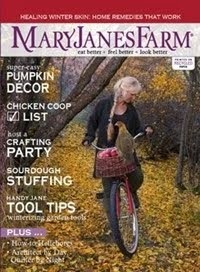 My favorite was the burlap pumpkins (and your sweater/shirt pumpkins) - I made 10 or 12 of them of all types of fabrics to use in my fall decorating. 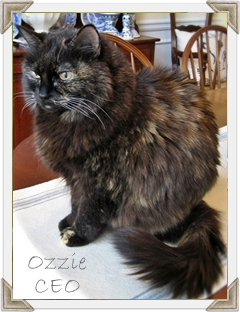 I am planning to make more in the coming year to share with friends! Looking forward to more great projects in the year ahead. Blessings to you and happy new year!